Local favourite, Mark Curfoot-Mollington is back with a second novel for us all to enjoy! Be sure to come to the store on Saturday, October 28 from 11:00am to 1:00pm to meet Mark and hear all about his new heroine (and book of the same name), Alice MacKenzie. Growing up, every child has at least one teacher during their school career whom they secretly think is a spy. For Alice MacKenzie’s students, that assumption turns out to actually be the truth. When a cartel with roots in terrorism and white supremacy crops up on NATO’s radar, Alice is once again drawn into a world of danger, violence, and usnpeakable acts. Along with a retired colonel, a young Pakistani-Canadian girl, and an elderly British woman, Alice must come to grips with her past and face this new threat head-on if any of them are going to have a future. 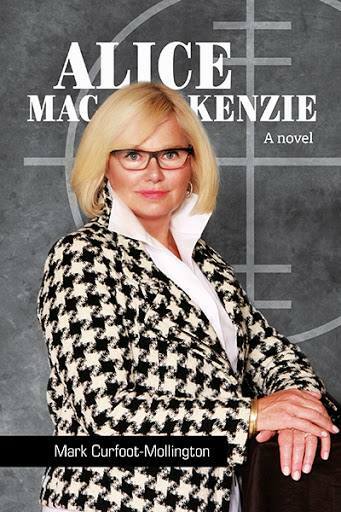 Set in a world of secrets, spies, and cartels, Alice MacKenzie is a thrill ride not to be missed!